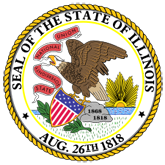 Brochure describes IRAD as a resource-sharing system that works with the Local Records Commission and area officials to transfer valuable records to the seven IRAD centers at Illinois state universities. Records at each IRAD reflect the unique history and traditions of that region. 1. Discovering Family and Local History (20060902183735_ard11910.pdf).